March 20th officially rang in spring, here in Missoula, we are starting to feel it too. Well, sort of. Last week the lingering snow quickly melted off thanks to sunshine and brief heat wave of 50 degrees. This week we were prepped for a forecast of cooler temperatures and the possibility of snow. A light flurry aside, we made it through the week. The Earth Day Celebration in Caras Park is an annual event held in April to bring awareness to sustainability topics. Local businesses and organizations set up sustainable living and environmental observation displays with activities for children and adults while local bands play and speakers highlight sustainable living issues. With local food vendors and a beer garden, the Earth Day Celebration honors mother earth and Missoula’s vibrant community life and culture. The Garden City Brewfest is held annually in May and produced by the Missoula Downtown Association. 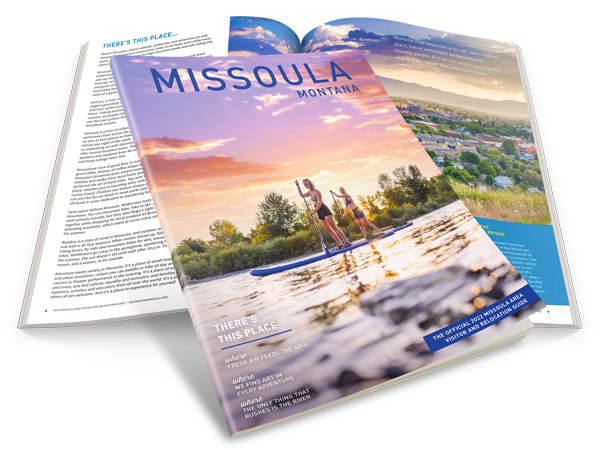 This vibrant event takes place in downtown Missoula’s Caras Park. Admission is free, but purchase of tokens allow you to sample the beverages. Soda, water and a variety of food choices are also available for purchase. Local food vendors and live music accompany this popular event. The Buddy DeFranco Jazz Festival is a non-competitive, educational event. High school and college jazz bands perform every 30 minutes throughout the festival and receive written comments from the guest clinicians. Immediately following its performance, each band will have an opportunity to work for 30 minutes with one of the clinicians in another location. This event is held each year in April at the University Theatre. Missoula has three different farmers markets that operate mid-May through mid-October. They are all downtown, and all within walking distance of each other. Visit our Farmer’s Market page for more information. Before you know it, Mount Sentinel and Jumbo will be glowing bright green and we will have smells of barbecue and fresh cut grass wafting around the Missoula Valley.